A regular feature that readers have become accustomed to here at The Boxing Truth® at the beginning of a new year has been what essentially amounts to what some might call a “Wishlist” of what this observer feels could be beneficial for the sport in the year ahead. The year 2016 featured some compelling battles featuring some of the sport's top stars. Of course, opinion among Boxing fans and experts alike can sometimes differ with regard to not only which out of the hundreds of fights that take place in the sport during a calendar year should be considered for Fight of the Year honors, but also whether some of those encounters could see a continuation as a new year begins. Two questions that I ask myself after an encounter that some might call a Fight of the Year are not only whether or not there could be a rematch, but also how a fight could impact the sport. Some might say that a fight that may have been competitive and exciting, but ultimately is more discussed for what might have been a controversial outcome or decision would have a negative impact. One such fight where that argument could be made was the November 19th clash between undefeated unified Light-Heavyweight world champion Sergey Kovalev and undefeated former Super-Middleweight world champion Andre Ward in a battle where Kovalev’s unified world championship was at stake. Outside of potential fights that could be made in 2017, there are issues that remain present in the sport. Readers may recall this observer discussing periodically over the years subjects such as an ongoing dialogue established in 2014 involving the leaders of three of Boxing’s respective world sanctioning organizations, the World Boxing Council (WBC), the World Boxing Association (WBA), and the International Boxing Federation (IBF) to discuss issues that surround Boxing, which could have long-term benefits for the sport overall. Although there was not much said publicly about the dialogue between three of the five world sanctioning organizations in the sport within the last year, I remain firm in my stance that such dialogue should be viewed as a positive if it can ultimately lead to things that will be viewed as beneficial and could lead to progress especially if the leaders of the World Boxing Organization (WBO) and the International Boxing Organization (IBO) are also involved in the process as I said I hoped would be the case at the beginning of 2016. One such subject that I have said in the past that could be a benefit to the sport through an ongoing dialogue between the leaders of Boxing’s respective world sanctioning organizations would be to establish one undisputed world champion per weight class throughout the sport’s seventeen weight divisions. Even though as I have said in the past that some might view such a concept as wishful thinking, I do not feel it should be dismissed. There are four fighters in the sport currently who hold unified world championship status, undefeated Middleweight world champion Gennady Golovkin, Lightweight world champion Jorge Linares, Jr. Welterweight world champion Terence Crawford, and the recently crowned Light-Heavyweight world champion Andre Ward. Although there is much more progress to be made towards determining one “Undisputed” world champion and not partially unified world champions per weight class, I feel it can be done if the respective sanctioning organizations, respective promoters, and the fighters themselves are committed to it. Even though some progress has stalled in regard to some weight classes in recent times, it will be interesting to see how much progress can be made in 2017. There are two subjects in particular that I would like to see addressed in 2017 that are on this year’s “Boxing Wishlist” as has been the case in years past that will probably be no surprise to regular readers. The first, which could be a benefit of the dialogue between Boxing’s respective sanctioning organizations would be the concept of “Interim/Regular/Emeritus” championship designations in an organization’s ratings in a given weight class needing to be rethought and simplified. In short, a fighter who holds interim/regular championship status or fighters who hold a rare status of “Emeritus” are in actuality number one contenders to a fighter who holds a world championship. Although as I have said in the past the concept of “Interim/Regular” designations appearing to be well-intentioned particularly in the event of a unified or undisputed world champion either being injured or refusing to defend their championship against an organization’s top contender and ensures a fighter who holds such designation an opportunity to either be named world champion or at minimum an opportunity to fight for a world championship, it is something that remains an issue for the sport. In thinking of a possible solution to this, I believe that if a world champion is either unable to defend their world championship due to an injury that will have that champion out of action for a significant period of time or if a champion refuses to defend their title against a number one contender within a certain time frame, a more simplified approach could be simply having the top two contenders square off for a vacated world championship, rather than having a number one contender essentially defending their “Interim/Regular” status against other opposition while the world champion remains active facing other contenders leaving the fighter who is the number one contender having to wait a significant period of time, which could stretch over a couple of years assuming that the top contender remains active and doesn’t lose their status before finally getting an opportunity to face the world champion. Despite the fact that world champions have to defend their titles against an organization’s top contender on an annual basis, it does not appear that number one contenders who hold “Interim/Regular” status get their opportunity to fight for a world championship in a more timely manner. Of course, this can be even more complicated in the event that a world champion holds a unified or undisputed world championship where there are several organizations that each have a top contender. Even though I believe that it would be beneficial to the sport overall if a world champion were able to fight between two to four times per year, it is not always the case for several different reasons including injuries, negotiations for potential fights, promotional agreements, television agreements, and other issues. It is my hope that some progress can be made in this area in 2017 to at minimum ensure that number one contenders can get their opportunity to fight for world championships in a more timely manner if not doing away with the “Interim/Regular” designations altogether. The final subject which tops my “Boxing Wishlist For 2017” is for the concept of “Pay-Per-View” to be rethought. Some readers might remember a column this observer wrote here on the website in December 2015 titled “Is It Time For “Big Time” Boxing To Go Over The Top?” where I discussed the evolution of Boxing as a “Pay-Per-View” attraction, the general decline of the cable/satellite industry as a whole, the decline of pay-per-view buys as it relates to the sport of Boxing, and the advent and growing popularity of Over The Top (OTT) digital distribution as a viable option for consumers over traditional pay-TV cable/satellite service. Although several combat sports themed OTT networks such as GFL: Go Fight Live Combat Sports, FITE TV, Eversport, and FloSports, to name a few continue to grow, this observer feels it necessary to once again express my view that it is time for the powers that be in the sport of Boxing to look for a way to test the waters of OTT distribution in regard to a “Big” or “Super”fight that would normally only be seen on cable/satellite pay-per-view. I believe strongly as cable/satellite pay-per-view numbers for the sport continue to be in general decline that it is not a lack of interest among Boxing fans/consumers that is responsible for such decline, but rather the increase in what is known as “Cord-Cutting” as more consumers are choosing OTT television options over traditional cable/satellite pay-TV service. 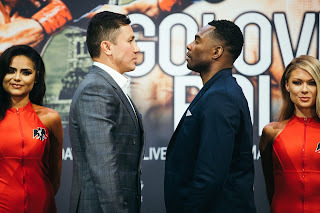 It is also my opinion that the prices for such pay-per-view cards, which have been generally priced well over $60 per card in recent years as well as the success and popularity of the Premier Boxing Champions series across both over the air broadcast television as well as cable are also responsible for such decline. As the OTT realm continues to grow, it is something that the powers that be in the sport of Boxing should really consider as an option. As I have said before it will boil down to whether Boxing promoters around the globe will be willing to embrace OTT technology whether it be by producing a subscription-based model that would offer both live and on-demand content such as FloSports currently offers with their individual OTT networks including one devoted to Boxing, or perhaps a service where pay-per-view Boxing events can be offered on either a one-time pay-per-view basis or as part of a subscription where events are offered on a delayed basis, while offering select live events included with a subscription similar to the Ultimate Fighting Championship’s (UFC) UFC Fight Pass service. It is clear in my eyes that something should be done in order for Boxing to not miss out on what could be a sizable audience of fans who have “Cut The Cord.” It is something that I do not believe is going to decrease and the sooner the powers that be in Boxing come to that realization, the better for the sport. For now, the topics I have discussed in this column remain simply “Wishes”, but it is my hope that at least some of the things on this observer’s “Boxing Wishlist For 2017” come to fruition. It will nevertheless be interesting and hopefully fun to watch and see what happens in the year ahead. I am very much looking forward to it.